Sometimes a piece of art finds you at just the right moment in your life, and makes a very big impact on you because of it. I’m a father of two young kids, it’s currently October, and we’re approaching my favorite holiday, Halloween. I’m also a fan of horror films. 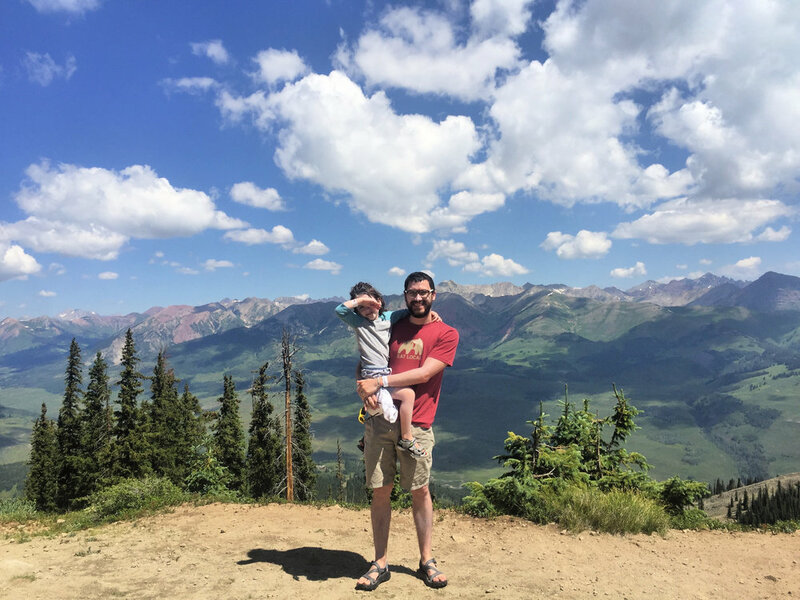 Just mere weeks ago I compiled on this website a list of movies, including greats like Gremlins and Little Shop of Horrors, that I can’t wait to share with my kids. And then, lo and behold, the perfect book - Sir Simon: Super Scarer - falls into my lap. 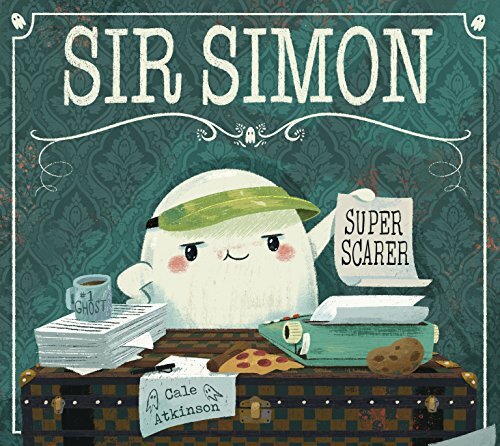 Sir Simon is a picture book about a ghost - a passion project written and illustrated by Cale Atkinson and published by Tundra Books. Atkinson wrote that he has wanted to make a ghost story for a very long time. Passion can make all the difference in a work of art, and Atkinson’s passion here is clear. His passion for Sir Simon: Super Scarer is in the details - literally. So why did this picture book have such a huge impact on me? Atkinson recently announced that there were more than fifty Easter egg references to classic scary movies in Sir Simon. There are so many, and some of them are hidden so well, that he ran a contest for who could find them first. As an aside, I’m very proud to say that I pored over this book, scouring it for hidden references, and won this contest. Many of the images are hidden so well I never would have noticed them if Atkinson didn’t point out that there were so many to find. Ultimately, this was an exercise that made me love this book even more. That’s the perfect storm that I’m talking about though - it’s a sweet family picture book I can share with my kids with gorgeous illustrations and a really funny and original story. And on top of all that there are tons of very subtle nods to classic scary movies that I love. Are you kidding me? We’re talking Gremlins, The Thing, Friday the 13th, A Nightmare on Elm Street, Little Shop of Horrors, Ghostbusters, and the list goes on and on. The references might be as subtle as Chester wearing Freddy’s sweater from A Nightmare on Elm Street, or little Audrey II from Little Shop of Horrors simply hiding among the house plants. All in all, it kind of feels like this book was made just for us. But the real beauty about all of this is that all of the hidden scary movie references are just the icing on the cake. Many people will read this entire book without noticing a single Easter egg, and they will most certainly still love it just as much. That’s because the illustrations are truly fantastic, and the story finds that perfect combination of funny and heartwarming that leaves a lasting impression. Simon is a professional ghost. Scaring is his business. The funny thing is, scaring isn’t scary at all when you see the ghost chores Simon is required to do. A big part of the humor in the story revolves around the idea that scaring is a job for Simon - and we get a behind-the-scenes look at his tasks like flushing toilets and stomping in the attic. We get a good glimpse at a lot of these funny chores in the beautiful endpapers of the book as well. But Simon is still pretty excited, because he’s been assigned to his first ever house haunting. He thinks it’s going to be a pretty easy job too, because it’s supposed to be an old lady moving in. But he didn’t know young Chester was moving into the house with her. Chester is a kid and he is not scared by Simon at all. In fact, he’s super excited to meet a ghost. He actually wants to help Simon do his ghost chores. This is where that perfect combination of funny and heartwarming comes in. Simon lets Chester help with his ghost stuff, but perhaps not for the right reasons. But then Simon suddenly discovers something a little poignant and we get a very subtle glimpse into Chester’s past - and the relationship between the ghost and the boy starts to change. Sir Simon: Super Scarer checks just about every box I have on my official awesome picture book list. Very high-quality illustrations? Check. Touching and heartwarming story? Check. Makes me and the kids smile? Check. More than 50 secret references to my favorite scary movies? Check. I suppose if you want to get technical it’s the only picture book that’s checked all of those boxes. If you consider Sir Simon a Halloween book, there’s no doubt it should be right at the top of your list battling it out with the likes of Zen Ghosts, The Nightmare Before Christmas, and It’s the Great Pumpkin, Charlie Brown for all of your remaining Octobers. But this book will never be put away with the Halloween decorations in our house. This ghost is a face we want to see on our bookshelf and visit all year long. Have you checked out Sir Simon: Super Scarer yet? How do you think you’ll do finding all 50+ scary movie Easter eggs? Tell us your favorite part about this wonderful work of art in the comments.